MTV Shuga is back in Nigeria and you know what that means? All you acting hopefuls have a chance to star in the award winning TV drama series from MTV International and MTV Staying Alive Foundation. The world renowned TV show which has recently, for the first time, been expanded outside of Sub-Saharan Africa to include two new localized versions in India and Egypt to air by 2020, will return to Nigeria for two additional seasons, with a heavy emphasis on family planning and contraception. - MTV Shuga is closer to you than ever before. This time, auditions will hold in Lagos at Planet One, 5, Mobolaji Bank Anthony Way, Maryland, Ikeja on August 12 from 8 am to 5 pm! - If you can’t make it to Planet One, don’t worry, MTV Shuga has got you covered. You can enter the web audition by submitting a short video of yourself auditioning for the part on Twitter, Facebook or Instagram using the hashtag #MTVShugaAudition. MTV Shuga will provide a script, to guide you, across all of its platforms (@MTVShuga on Instagram, Facebook and Twitter), so all you have to do is act it out. - MTV Shuga is seen in 720 million homes, in over 61 countries across the globe. It’s a platform big enough to kick start your acting career. - Most MTV Shuga cast members entered the auditions just like you would! Jemima Osunde is one of those now emerging superstars! Acting talents will be selected strictly based on merit. No need for connections. So, get your “act” together and bring on your A-game for the audition. A means of identification is compulsory. Date: Open 26 July – 23 August, 2017. To participate, make video of yourself acting out a scene from MTV Shuga and submit the video on Instagram/Twitter/Facebook using @MTVShuga and the hashtag #MTVShugaAudition. 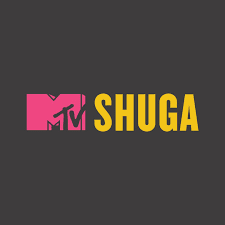 The new seasons of MTV Shuga will premiere on MTV Base (DStv Channel 322)) and BET (DStv channel 129) and third party broadcasters around the world in 2018. To join the conversation about MTV Shuga, like MTV Shuga on www.facebook.com/MTVShuga, or follow MTV Shuga on Twitter or Instagram @MTVShuga using the hashtag #MTVShugaAudition. For more updates visit www.mtvshuga.com.